Understanding how little funding there is for autism research may better illustrate the importance of my fundraising efforts. Did you know that autism receives less than 5% of the research funding of many less prevalent childhood disorders and diseases? Autism Speaks is dedicated to increasing awareness of autism spectrum disorders, to funding research into the causes, prevention and treatments for autism, and to advocating for the needs of individuals with autism and their families. 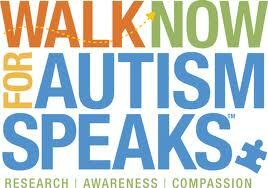 It was founded in February 2005 by Suzanne and Bob Wright, the grandparents of a child with autism. Bob Wright is Senior Advisor at Lee Equity Partners and served as vice chairman, General Electric, and chief executive officer of NBC for more than twenty years.